At Rising Hope, boarding is a benefit to students, volunteers and the community, providing a safe place to enjoy equine activities. Boarders are expected to play an active role in their horse's care, and are asked to give 10 hours per year of their time to help keep these prices low. ~ An interviewing process may be used to decide who may board at RHEC; a waiting list will be kept on file. ~ Boarding is limited to space available. All boarders get their own heated tack storage area. 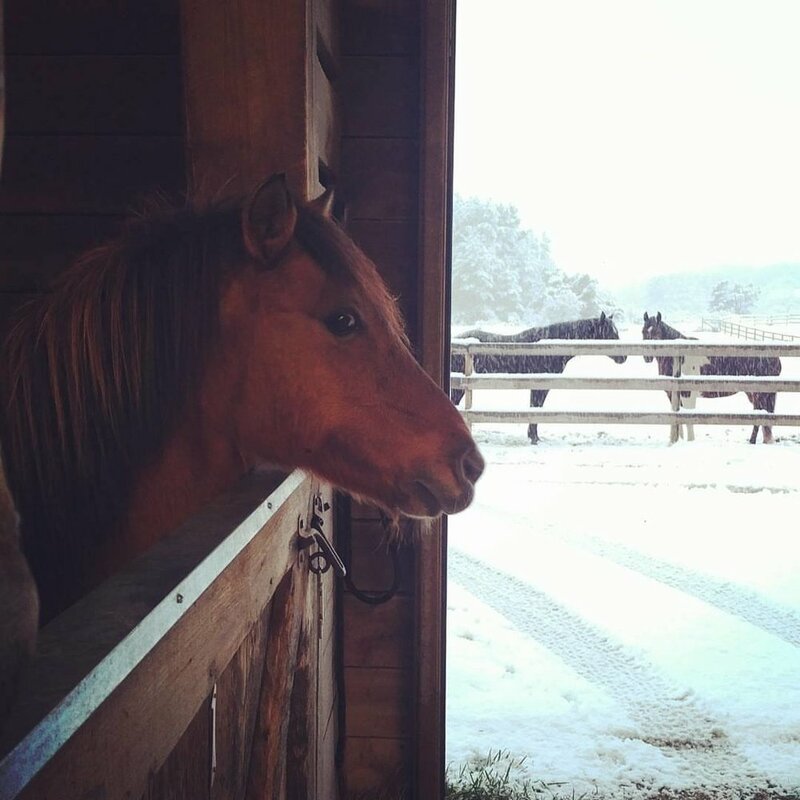 The riding arenas are available any time during the day unless private lessons have been scheduled. All stalls have floor mats and half doors. Pastures are groomed regularly and always have fresh water. There are turnouts of all sizes. Depending on your lifestyle, we can accomadate your boarding needs accordingly. RHEC will clean your stall daily. Morning turnout, evening bring in, blanket changes Tribute grain and hay provided. If you can't make it out to the barn everyday, this is a great option. $625/month. Your horse will live in a small herd. RHEC will provide hay and grain morning and night. (Tribute Grain). Does not include blanket changes or other horse care needs (i.e. worming, vaccines, and holding for vet/farrier). $325/month. Additional Costs: You may choose to do these things yourself or pay for us to do them. Rising Hope has lesson horses for beginners to advanced riders. Our lesson horses are trained in all disciplines from western pleasure, to dressage to hunter jumper/jumping, you're sure to find a horse to fit your riding needs!